When your child earns an A+ on an assignment, it can be hard to stop yourself from exclaiming, “You’re so incredibly smart!” But using strong adverbs and adjectives like “incredibly” or “amazing” can actually have a negative effect on kids, says Nicholas Westers, Psy.D, a clinical psychologist at Children’s Health in Dallas and an assistant professor at UT Southwestern. For children with low self-esteem, he explains, “inflated praise may inadvertently pressure them to perform exceptionally well at all times,” and they may start avoiding more challenging tasks in order to preserve their sense of self. Even in the worst situations, something always goes well, says Dr. Clabough. Rather than spending time on what went wrong, look for the positive and compliment your kid for what they did well. “Praise the elements of an action you want to see again whether it’s a win or a loss,” she says. The team might have lost the game, but it was great to watch him or her take a shot at goal four times. If you’re proud of your child, let other people know—especially when they’re nearby. “An excellent way to build self-esteem in children is to make sure they hear you speaking positively about them,” says Stephanie Leclair, RECE and Curriculum Developer at Tiny Hoppers Daycare. A family Facetime call with grandma and grandpa is an excellent opportunity to boast that your son has been practicing his basketball skills every day after school and, as a result, scored a basket at his last game. In addition to giving thoughtful praise, parents should conscientiously tell their children “I love you” on a regular basis. 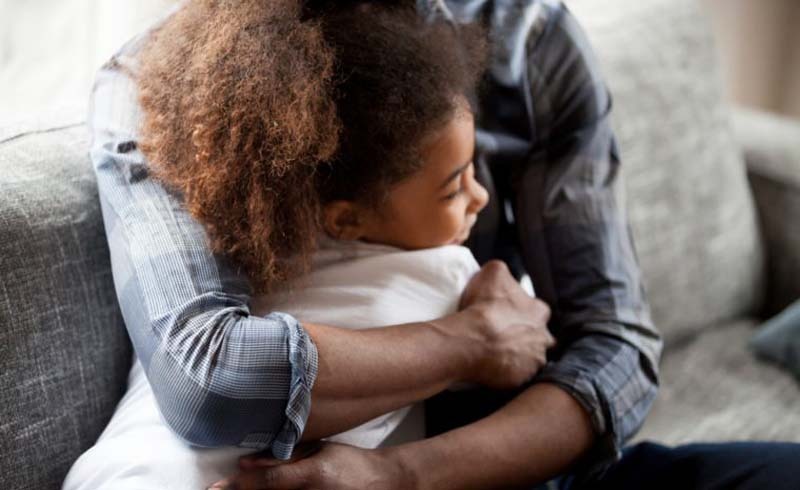 But parents should be mindful to express their love “in a way that communicates their love is unconditional and not attached to anything they do or do not do,” says Dr. Westers. Children should know that they are loved and be treated with kindness regardless of their looks, behaviors, or achievements.